Confrontation! 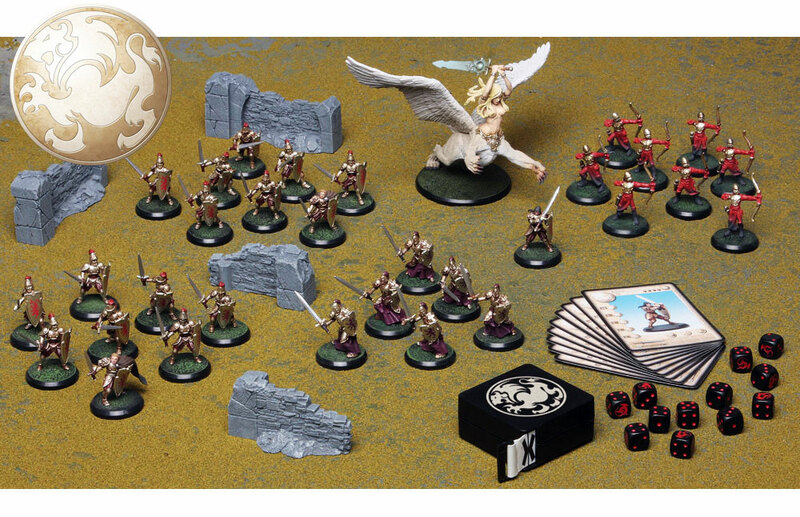 The skirmish miniature game comes back in a celebration box. 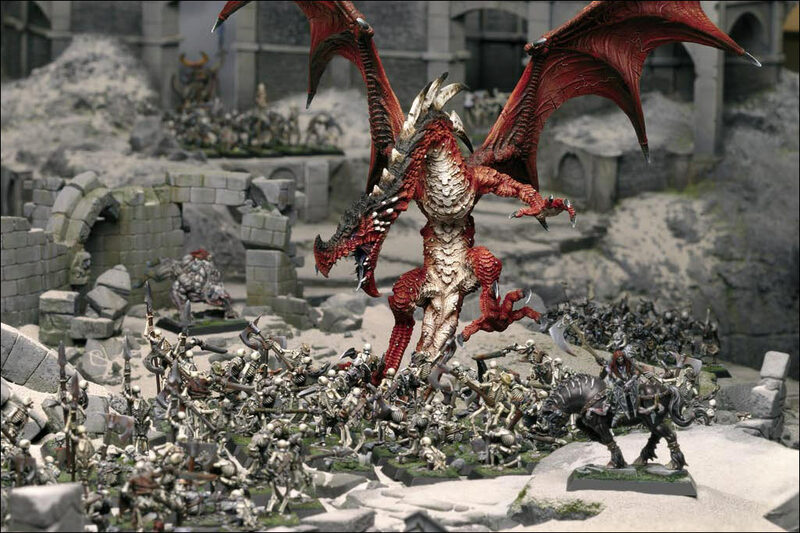 Join the community of the legendary miniatures game now! 2,363 backers pledged €403,575 to help bring this project to life. Some resin miniatures in add-on! -- Des figurines résine en add-on! They count among the most beautiful miniatures ever sculpted by artists. Both players and collectors seek them fervently. Sans-Détour opens the doors toward the Holy Grail: the resin miniatures! You will get the possibility of receiving these exceptional miniatures during a Wave 1 delivered in November, by paying the related shipping costs. These Collector's Choice miniatures are not included automatically in the Celebration Box. Elles figurent parmi les plus belles pièces réalisées par les artistes. Elles sont recherchées par les joueurs et les passionnés. Sans-Détour vous ouvre les portes du trésor des trésors : les figurines en résine ! Vous aurez la possibilité d'obtenir ces pièces d'exception lors d'une Vague 1 d'envois qui sera livrée courant Novembre, en réglant les frais de port dédiés. Ces figurines Collector's Choice ne sont pas incluses automatiquement dans la Celebration Box. Ymlhael, Marco Patrignani, and 32 more people like this update. Yes I do. But for most models it was the painting that was awful. The sculpts were... at best uneven. Some were gorgeous, other were crap. Did anyone notice, that the chimera shown is the one from the so hated prepainted models? Même question, est-ce une exclusivité du kickstarter ou seront-elles disponibles après la campagne? Same question, is it a kickstarter's exclusive or they will be available after the campain? Very nice! The old Melmoth sculpt but also four skull warriors from the short lived and hard to get "Army of the Ram" box set. That's quite worthwhile. Can you provide more photos of the Eclipsante bust? Bonjour, pourriez-vous nous dire s'il sera possible de les acheter après la campagne, ces pièces seront-elles présentes dans votre catalogue? Many didn't have the opportunity to buy them at the time, now they can. The core pledge is a rehash of all old minis, it really would surprise me to see something truly new here. But that is fine, a lot of stuff was/is great and people now having the opportunity to buy it legally is just awesome! Je pense que ce sera deux livraisons séparées. Ces figurines-ci en novembre de cette année ci (un genre de cadeau en avant première). Too bad some of these are/were already offered by CMON, kinda seems like a missed opportunity to bring something new to the table. Awesome ! I'm very happy to see this offering. On suggestion. People I've talked to have no idea how big the resin miniatures are. Perhaps you could add some standard soldier for scale ? I think this will please the non-gamers, but collector/paintors. Can't decide which one i'm picking !